Raid Adventures will be hosting Australia’s first ever expedition length, rogaine format adventure race. The Rogue 24 hour event that the Raid 100 is based on has a tradition of rapidly selling out. As such, we have had to implement an entry procedure in the past that ensures entries are obtained in a fair and equitable manner. 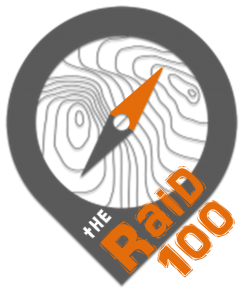 We are entering uncharted territory with the Raid 100, however, I will be implementing a similar system of entries in case demand exceeds the caps that we have on available places. Teams wishing to enter the race can submit an expression of interest including all their relevant team details. Expressions of interest will be open for a two week period from Monday 18 June through to Sunday 1 July 2018. Assuming we have enough capacity to cover initial interest in the race, all teams will be offered a place and send payment details for the initial race deposit on Monday 2 July 2018. Teams with at least one competitor who has volunteered at a QRA or Raid event in the last 12 months will receive a guaranteed entry (more on the volunteer rewards system here). International teams (that is, at least half the team will be travelling from overseas to compete in the race). Interstate teams that have competed in two or more Adventure 1 races in the last 12 months. All remaining teams will enter a lottery process. Again, teams offered a place in the race will be sent payment details for the race deposit on Monday 2 July 2018 and will have a week to make payment before their place is offered to the next team on the waitlist. Teams that are initially unsuccessful in obtaining a place will be put on a waitlist. 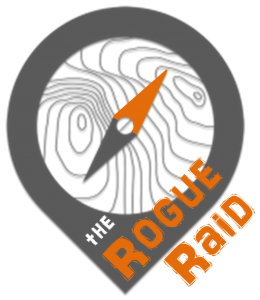 Note that traditionally teams on the waitlist are almost always offered a place in the lead up to the Rogue24. I am hopeful that we will have enough capacity in the race for every team with an initial interest in racing: I suspect the 100 hour course will see a reduced field compared to our regular 24 hour race for obvious reasons and I acknowledge that not every team interested in racing can commit so early. Putting these measures in place will hopefully remove any stress in the process for those keen to confirm a spot in the race. If you have any further questions about the Raid 100, or indeed any of the Raid Adventures events, I can be contacted via the details here. Update on 18/06/2018: A link to the entry form can now be found here.